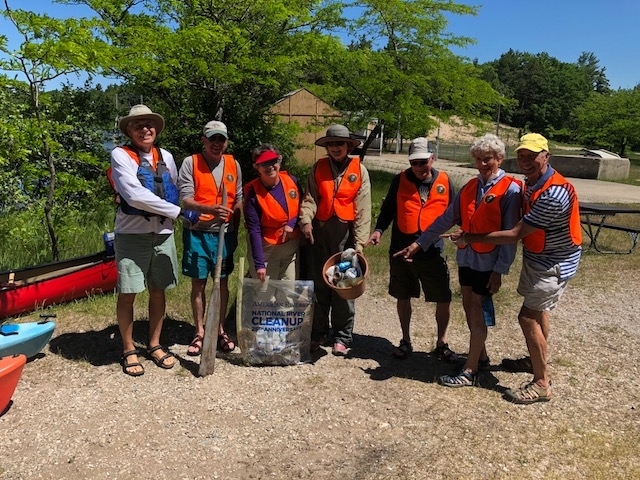 Three TAPC members joined a group of nine folks from the Friends of Sleeping Bear Dunes to do a cleanup on the Lower Platte. It was a cool breezy day, but nice and sunny. Gerald, Susan and I stayed together all afternoon to stab and grab lots of cans, shoes, bottles and even a starfish sand toy. 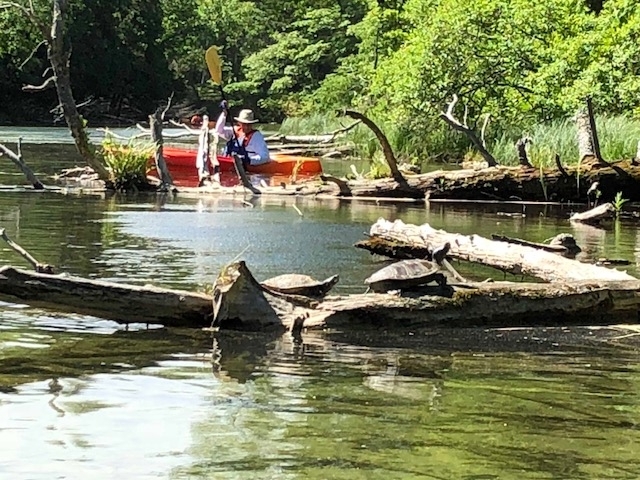 Glad I had the solo canoe to haul the heavy broken wooden oar that Gerald brought up from the deep. Next time I'd like to have a partner in a tandem canoe, so we can stab down even deeper. 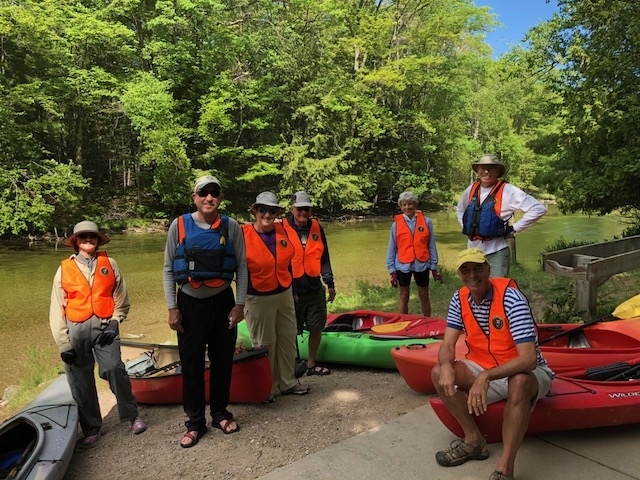 A Cleanup of the Lower Platte was completed on June 13 by a group of volunteers. Initially, the weather looked threatening and as a result our turnout was lower than we had hoped for the event. 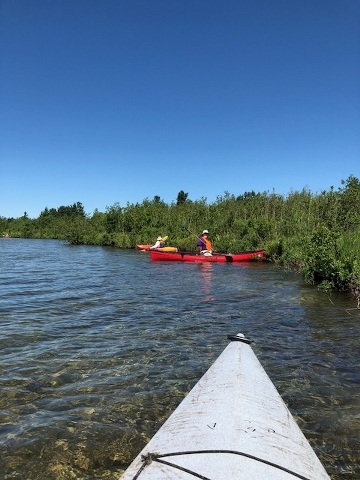 A big thanks to our presenters and helpers: Matt Mohrman and Nicole Schafer of the Ranger Staff, Lois Goldstein from the Traverse Area Paddle Club, Kyle Orr of the Riverside, and Doug Baker of the “Friends”. 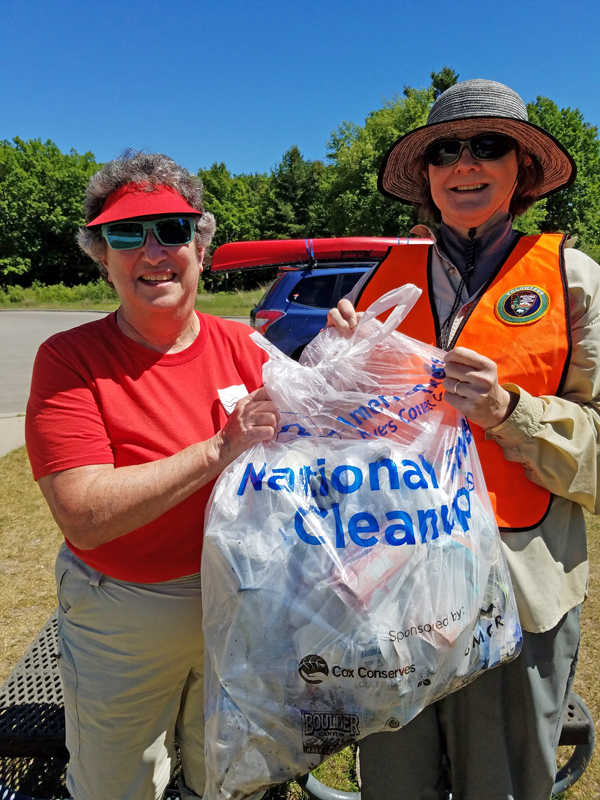 Many items were collected and the sun appeared as the day continued.